Art and Nature is a well illustrated book highlighting the natural history art collection in the British Museum. The book is divided into five chapters covering different regions of exploration: the Americas, Australasia, Asia, Africa, and Europe. The principle focus of each chapter is the artists who painted natural history subjects during the age of exploration. Since the basis of most of the illustrations is the natural history art collection in the British Museum, there is certainly a British emphasis in the discussion of artists. However, given the extent of British exploration during the 1600-1900s, this emphasis covers quite a lot. The British Museum collection does include several non-British artists, like William Bartram, and this book includes a nice discussion of them as well. Most of the illustrations in this book are of original art, not the reproductions in books. There are exceptions, but like the title suggests, the book is about the art of nature as opposed to the illustration (in books) of nature. This is especially nice since few people will ever have the opportunity to see the original art from the exploration of the world. I quite enjoyed this book and the author's writing style. In fact Magee has written a couple of other books, The Art and Science of William Bartram, Chinese Art and the Reeves Collection, and The Art of India, each of which is a more in-depth look at topics covered in this book. More biographical information as well as more pictures of the art by these artists. I look forward to reading each of these books. 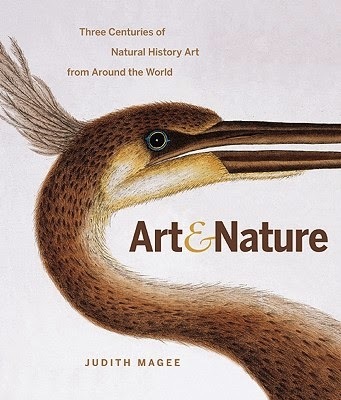 Art and Nature (Originally published as Art of Nature) offers a good introduction with enough biographical information to peak an interest in further study. It is a nice introduction into the artists of the period. Most of the artists were key figures in the illustration of books as well.